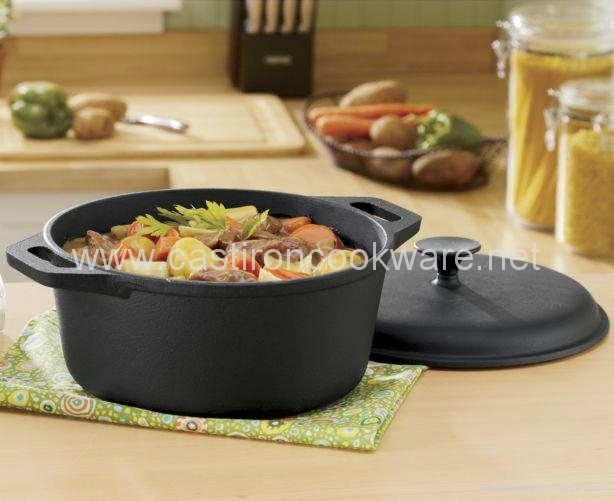 1.High quality cast iron evenly distributes heat even when used over an open fire. 4.Sturdy cast iron integrated handles provide a sure grip. 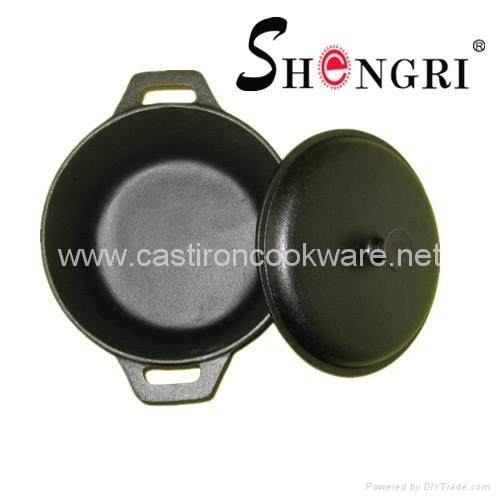 5.The heavy duty cast iron lid seals tightly to keep food moist.